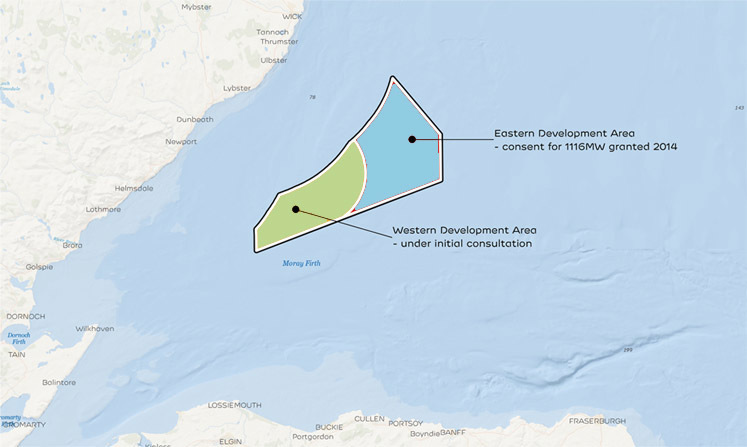 Centrica has agreed a contract to trade 76% of the electricity generated from the new Moray East offshore windfarm. The energy supplier has entered a power purchase agreement (PPA) covering a 15-year period once generation begins in 2022. Moray East will be developed 13miles and will have an annual production equaling the average electricity demand for around 950,000 UK homes. The overall value of the Centrica deal has not been disclosed. Cassim Mangerah, co-managing director for Energy Marketing and Trading, said “We are excited to have secured the PPA for the Moray East windfarm. The contract represents another milestone for our route-to-market business and is a testament to the level of sophistication and capability we have built. The 950 megawatt development is 33.3% owned by EDP Renewables, Mistubishi subsidiary DGE holds 33.4%, ENGIE holds 23.3% and the remaining 10% stake is owned by China Three Gorges. In 2017 Moray Offshore Windfarm (East) Limited won a Contract for Difference (CfD) from the UK Government to supply electricity at £57.50/MWh. Oscar Diaz, project director for Moray East said: “Moray East is a landmark project for the offshore wind industry, delivering sustainable, renewable generation at a highly competitive power price.